What do you think John B.? 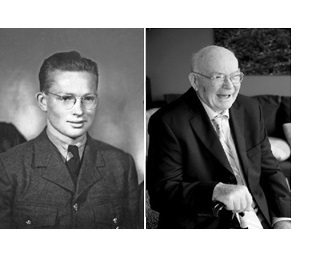 With great sadness, we announce that Al passed away peacefully at age 89 on July 28, 2013 in Port Moody, B.C. He is survived by his loving wife of 61 years Peggy (nee Mouat), his children Kathleen, James (Barbara), William (Diane) and Thomas (Deanne), his grandchildren Alexander, Robert, James and Daniel, and his brother Jack and sister Maureen Bailey, and predeceased by his brothers Herbert, Walter and Victor. Born in Armstrong, B.C., Al grew up in Nanaimo, B.C. where he attended elementary school thru grade 13. He joined the Royal Canadian Air Force in 1942 and served as a Leading Aircraftman for the RCAF 403 Wolf Squadron in England, Holland, Belgium and Germany thru 1946.